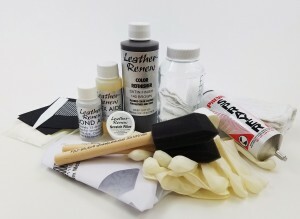 This DIY automotive leather dye kit includes enough dye to cover two entire seats, or touch up four seats. Specifically formulated for Auto Interior leather but also works great on most smooth leathers. Choose from hundreds of automobile colors, or send us a sample and get an exact match.